Your venue is the setting for your fairytale wedding, and one of the things your guests will remember the most. 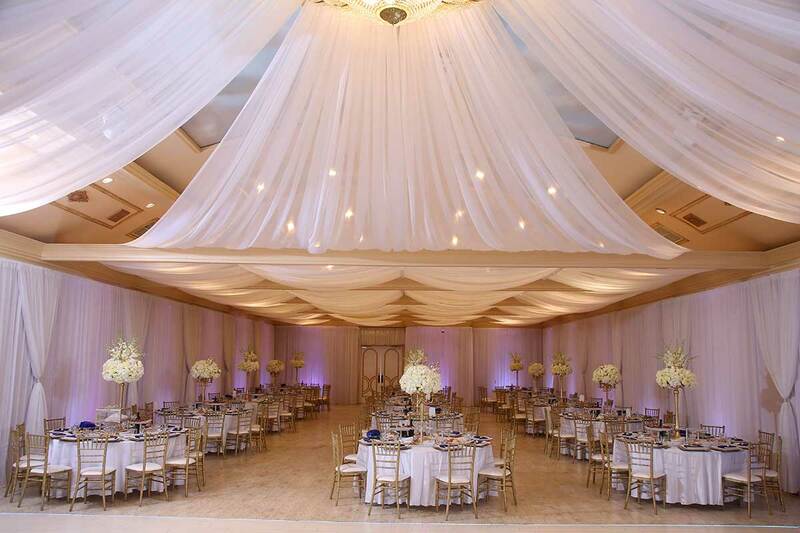 With so many banquet halls in Los Angeles, it can be difficult to find one that meets all of your requirements without breaking the bank. Knowing exactly what to look for can simplify your journey and help you discover your ideal venue much faster. Depending on the style and theme of your wedding, you might require different atmospheres and aesthetic touches. However, there are some general necessities you can’t forget to factor in. Here are five basic things your venue should offer, and why they shouldn’t be overlooked. Catering. Unless you already have the perfect caterer in mind, it might be better to search for a venue that includes one. The catering team will have a better grasp on the venue’s kitchen and might have signature dishes, drinks, and menus to choose from. Size. If you’re hosting a large group of friends, family, and coworkers, finding the appropriate venue can be tricky. While a hall might look big enough at first glance, it might feel tighter once the guests begin flooding in. Food, tables, and the dancefloor should fit comfortably in the room, and guests should be able to dance and mingle without bumping elbows every step of the way. Transportation. No-one wants to drive around looking for parking, and your female guests won’t enjoy walking to the venue in heels. The parking lot should also have a pick-up area, as some of your guests might be calling taxis or Ubers once the party is over. If your Los Angeles banquet hall doesn’t include reasonable parking, move on to the next one. Layout. Chances are, your guests won’t want to spend the entire night on the dancefloor. Make sure your venue includes quieter places away from the commotion of the party. These locations should be easy to find and can come in the form of sitting rooms, balconies, and even the reception area of the party. While your list of requirements might be growing overwhelmingly long, don’t fret too much. There is no shortage of banquet halls in Los Angeles and finding them can be an adventure. Many locations have websites and photo galleries you can look through, so you can make preliminary decisions. Once you’ve compiled a list of potential venues, you can begin visiting. During your in-person tour, you can make notes and narrow down your list even further. If you have a wedding planner on call, they can tag along and simplify this process for you. You might find the perfect venue on your first try or find a diamond in the rough on your fifth stop. There’s bound to be a venue for you out there — it’s just a matter of finding it!